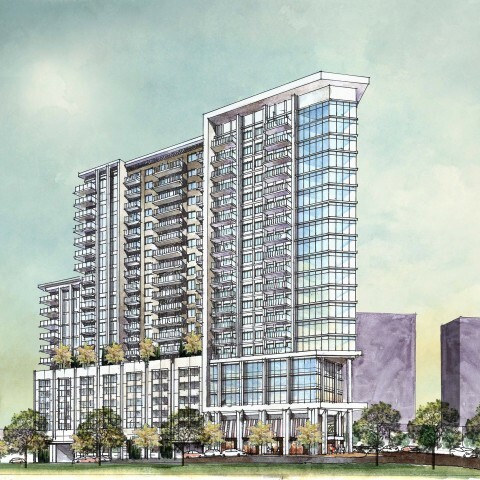 Located in the heart of Buckhead, this 22-story glass tower will have prime views of both Buckhead and the Downtown Atlanta skyline. Located within walking distance to both Lenox Mall and The Streets of Buckhead, residents will have access to many of Buckhead's prime destinations. Features approximately 240 one, two & three bedroom luxury apartments. Gated residential parking with motor court and ample guest parking. Premium residential Club and Fitness area. Elevated Private pool top terrace with breathtaking views of downtown Atlanta. 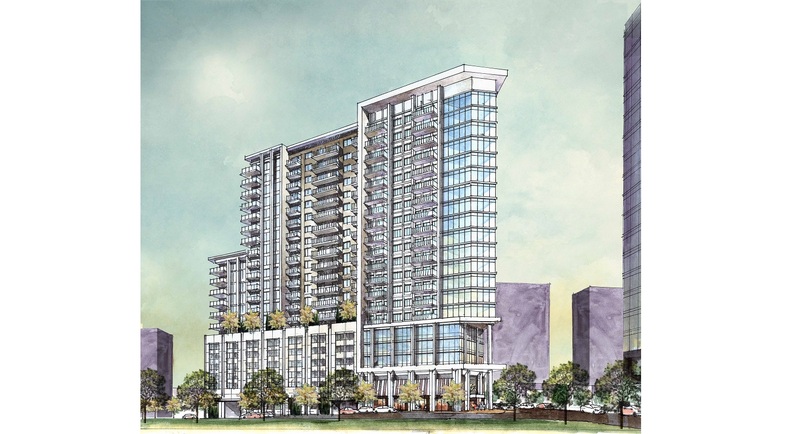 Peachtree Street address with street level residential Lobby.